Update : Version 1.70 released ! Crack is out !! 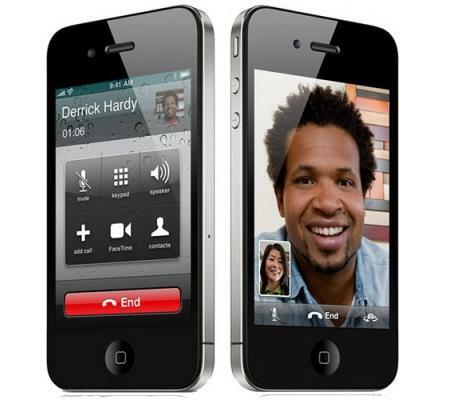 iCallAnnounce will announce (in a human voice) the name of the caller you're just receiving a call from. 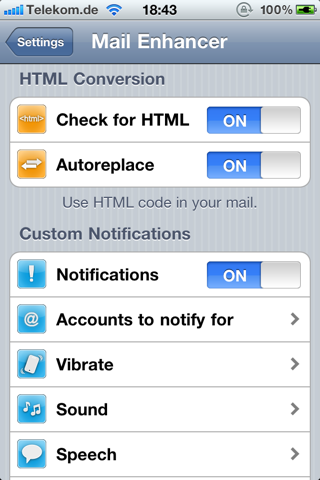 It can also announce the full SMS details (Sender & Text) of an incoming SMS message in realtime. iCallAnnounce doesn't stop there! Because it uses Apple inner Speech Synthesizer which doesn't work for most foreign languages, it can automatically translate the Caller name or SMS details to english so it will remain consistent over most languages (for eg. - Hebrew). 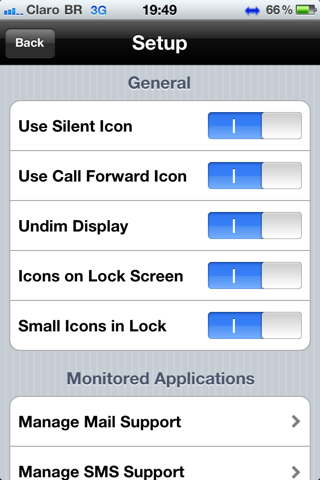 You can change iCallAnnounce Settings by going to "Settings" -> "iCallAnnounce" on your SpringBoard. 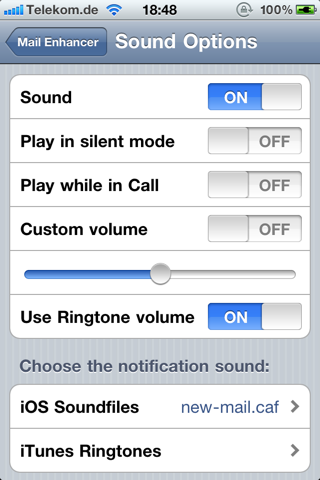 The volume must be set separately, it uses the volume from your iPod music. If someone stole your iPhone, it’s the worst thing that can happen. Want to know who stole it? Then iGotYa is for you! 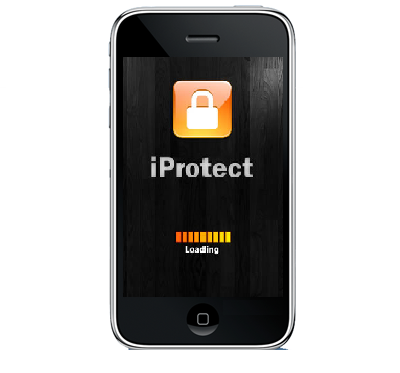 iGotYa is a new applcation in Cydia for protecting your iPhone against theives, nosey people, or anyone who’s using it. 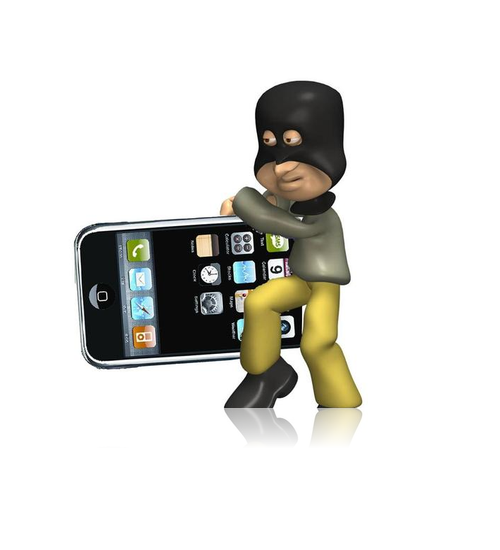 How it works is, it takes a picture of the thief or persons face (front facing camera on iPhone 4) and gets the location where your iPhone is. * Fixes a rebooting bug. 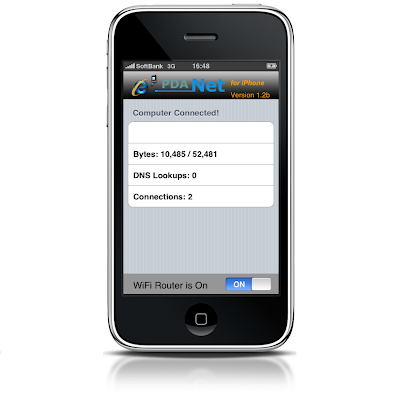 PdaNet turns your iPhone (any version) into a true WiFi router for your computer (MAC or PC), and allows your laptop to go online wirelessly through the 3G network on the iPhone. It also supports USB tethering for both Mac and Windows users. Update : TinyUmbrella updated ! Version 5.00.10 released ! Fixed a nasty baseband request error for ipad 2 cdma. "John‚Äôs iPad" -> "John's iPad". nuff said. Changes are applied as soon as you make them. Resized vertically for the resolutionally challenged few individuals that are stuck with pathetically small screens. Added some nag screens for folks that can't figure out why they can't save SHSHs because they can't figure out how to uncheck a box and click a button. 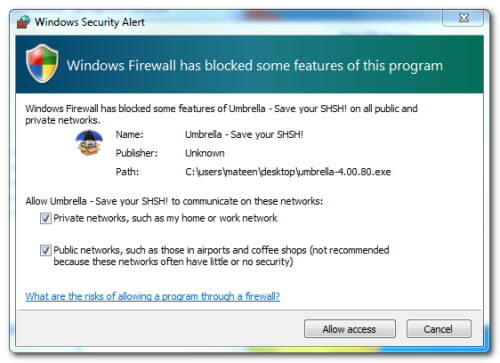 These are instructions on how to backup your SHSH blobs using Firmware Umbrella for Windows. You can find the Mac version of this tutorial here. Right Click umbrella-4.01.03.exe and Choose Run as administrator from the contextual popup menu. If you get a Windows Security Alert, make sure both boxes are checked, and hit Allow Access. You will be asked to Connect a Device. 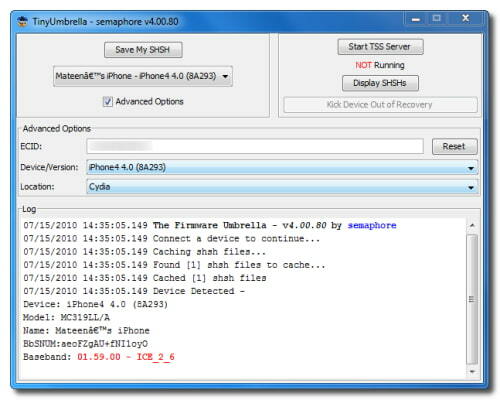 Once you do so Umbrella will detect the type of device and its firmware. Check the Advanced Options box. 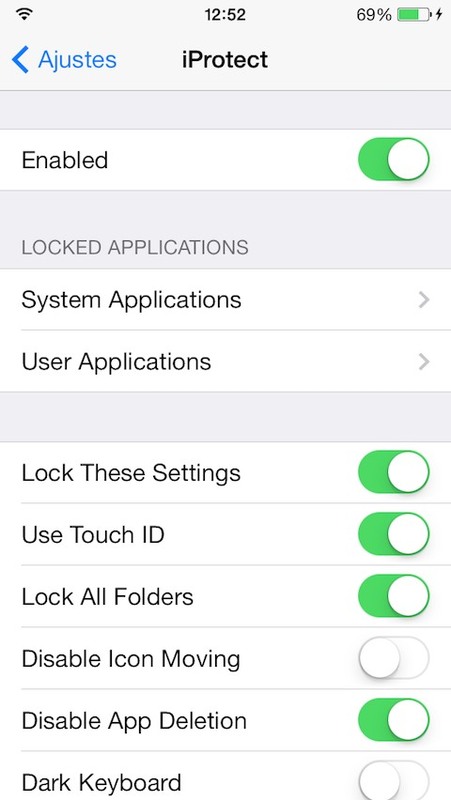 Confirm the ECID of your device, make sure the correct firmware version is selected, and set the Location to Cydia. 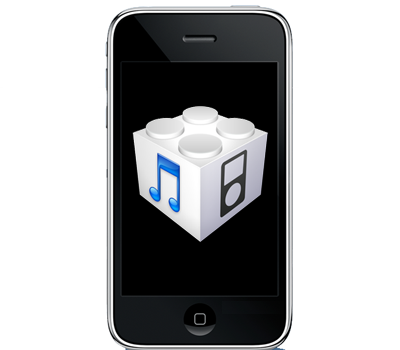 Note: you can only obtain SHSH blobs for the latest firmware version released by Apple. Press the Save My SHSH button. Once completed you will be notified that it was successful. 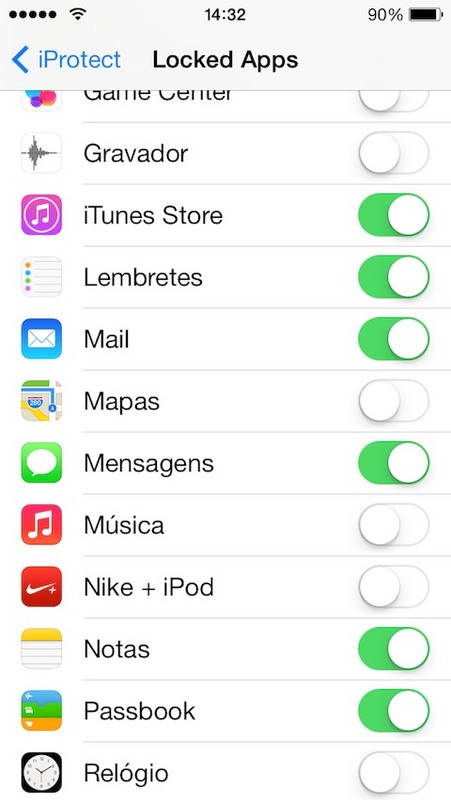 "You have saved your SHSH locally and the request was sent to CYDIA. This means that CYDIA DOES have your SHSH. 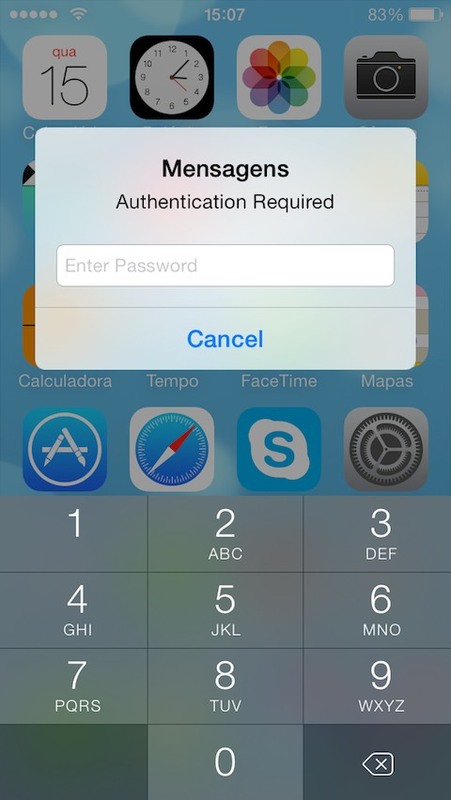 Do NOT bug semaphore about the Cydia home page showing this version." If you are unsuccessful in saving your SHSH blob because Cydia is overloaded then change the Location dropdown to Apple and store it locally. Update : TinyUmbrella updated ! Version 5.01.00 released ! 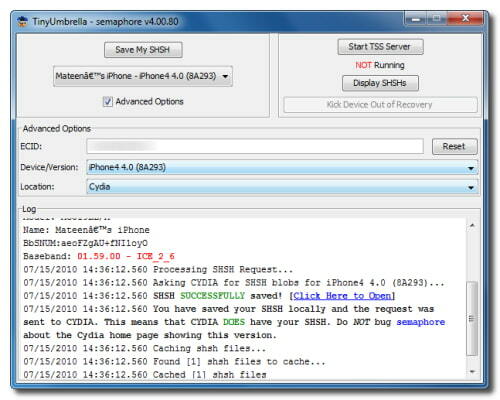 These are instructions on how to backup your SHSH blobs using Firmware Umbrella. 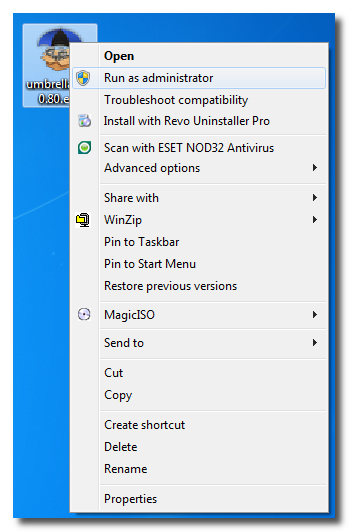 You can find the Windows version of this tutorial here. 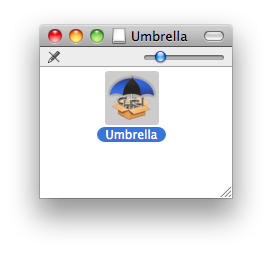 Double click the downloaded Umbrella.dmg file to mount it. 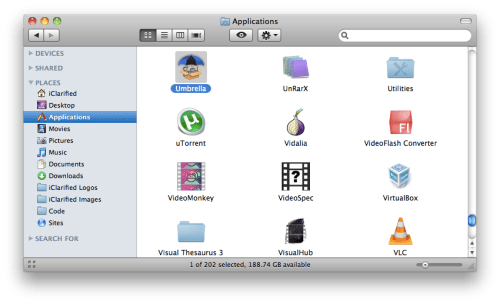 Drag the Umbrella app from the mounted dmg into your Applications folder. 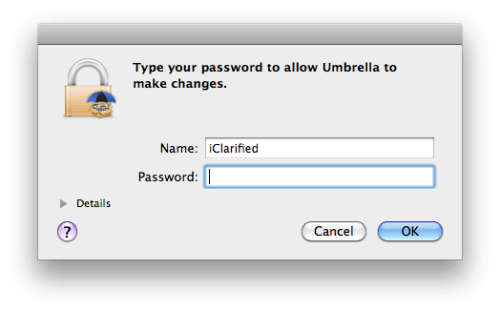 Then double click the Umbrella app to launch it. If asked enter your administrative username and password. 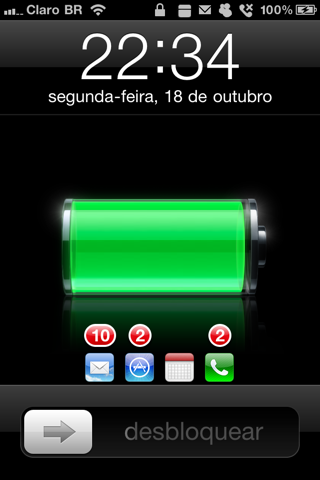 If for some reason your SHSH blob could not be saved through Cydia [Server Overload etc] then you must save it locally. Change the Location dropdown to Apple and click the Save My SHSH button again. 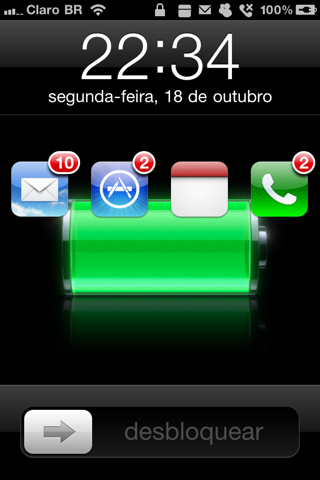 [FIX] Fixed crash on iOS5 (and 4.3.5) due to bad resign. Please download again from the links down here. 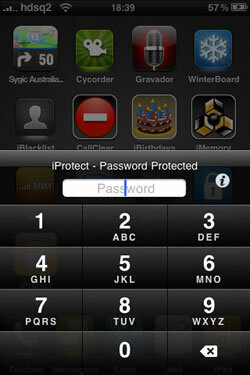 The best security lock for your iPhone, protect all your apps, contacts, dial, photos and files with a strong password. Anti-theft system with Simcard lock and locator. Update : Version 5.1 released ! Crack is out !! 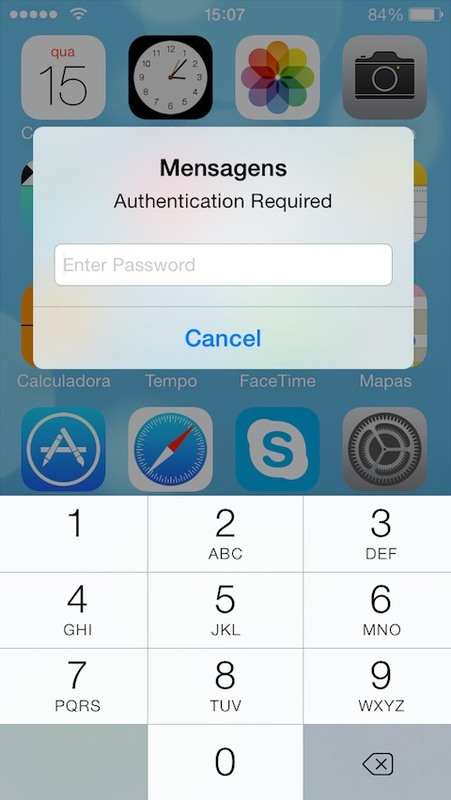 [NOTE] To activate simply open the app and tap on OK button when first popup appears. You must be connected via WiFi or 3G for your license to be downloaded. 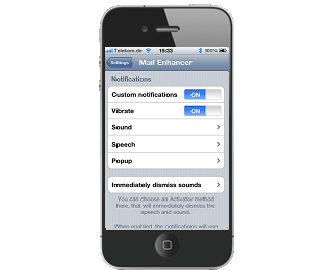 Notifier+ is the debut of the known application called Notifier for the new ios era in Cydia Store. 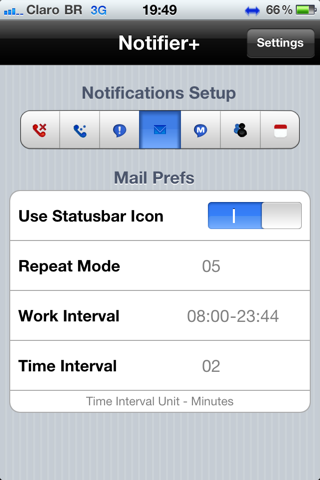 It gives the ability to create and schedule reminders for many kinds of events that happens in your device and you missed them, and also use of statusbar icons for each one. 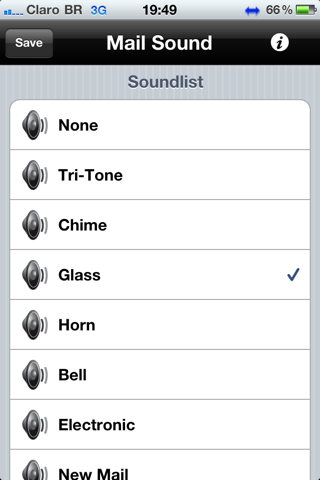 You can even set your own sounds to these reminders by adding your audio files in the specified folder. This app supports icons placement (with badge info) in the lock screen, to assist you to quickly launch the app you have unseen events with one touch (disabled if phone is pass code locked). 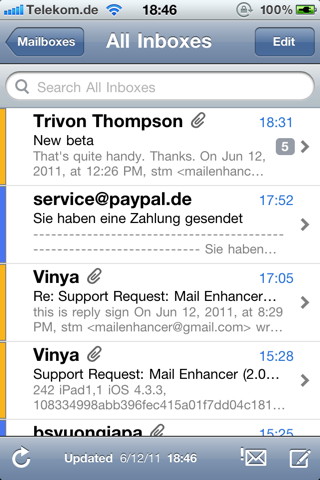 Now with retina icons!!! Update : Version 2.5.1-1 released ! Crack is out !! 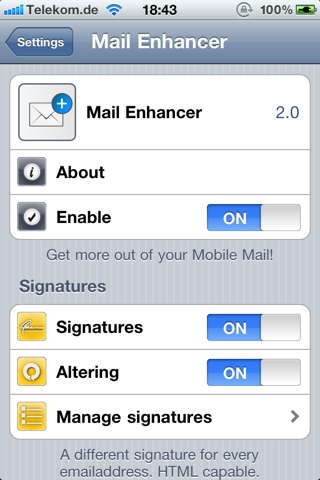 [NOTE] To activate this go to Preferences app > Mail Enhancer. You must be connected via Wifi or 3G while doing this, for the license to be downloaded. 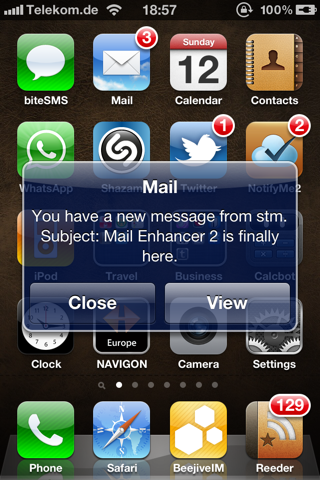 - Quickly show all / only unread mails in one single tap! Please note: Currently, only English is supported until I've got time to include the translations. You can - of course - set up your custom templates though! Check out the screenshots and video demo below for details.